One thing I tried to do is cook healthy for my family, but like most we still like fried food. So I wanted to find a way to be able to serve my family a healthier version of fried foods. I had tried cooking the food items in the oven but they never got that nice crispiness to them like they do when fried. When I heard about the air fryers I was a bit unsure how they could actually cook/fry food without the oil. So when I got the opportunity to work with GoWiseUSA for the Spring Fever Event I was super excited. 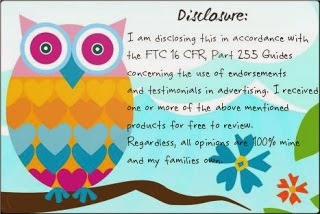 I received the GoWISE USA 5.8-Quarts 8-in-1 Electric Air Fryer XL to review with my family. The first thing I tried cooking in the air fryer was french fries and to my families surprise they came out perfectly crispy just like they had been cooked in a deep fryer. Since then we have cooked steak, chicken tenders, shrimp and wings in the air fryer. Yes you read that right I cooked Steak in the air fryer and it came out perfect exactly the way Mr. Anderson likes his steak. The air fryer has a touch screen accessibility to manually program cooking time, or you can select from 1 of the 8 built in smart programs: Fries/Chips, Pork, Chicken, Steak, Shrimp, Cake, Fish and Pizza. If offers a wide temperature range from 180*F to 400*F in 10 degree increments and a cooking timer that goes up to 30 minutes. The air fryer is made in a cool to touch housing with handle, which makes checking on your food mid-cycle easy. It is also nice to know that I do not have to worry about little hands touching it getting burned while I am cooking. The air fryer offers you a healthier and easier way to cook for your family in 30 minutes or less. If you would like a chance at winning a Air Fryer of your own be sure to stop over at the Spring Fever Event to Enter to WIN! Great site concerning the atmosphere fryers and extremely quiet; many fryers have difficulties with sound due to their enthusiast power, but this fryer seems to not. 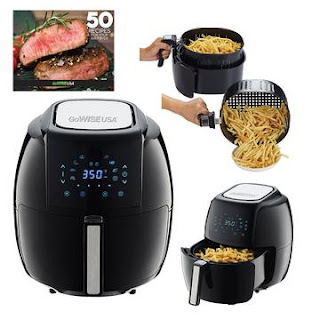 Simple to clean; the air fryer is dishwasher-safe, and could be washed manually or perhaps in the actual dishwasher effortlessly https://www.airgrub.com. I want an Air Fryer. I just have to decide on what features I want. This looks like a really nice air fryer. I love all the features. Heavy fat fryers tend to be full of hot oil and could be bad for handle when they don’t come with adequate safety precautions. It is important that the exterior partitions are heat evidence or at best insulated which means you don’t burn up your fingertips. It’s additionally a good idea to buy an in-depth body fat fryer which has a safe locking cover to safeguard towards unintentional some spillage homenkitchenstuff.com.